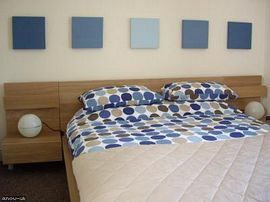 theloftfiley offers contemporary holiday accommodation for up to 4 in the Yorkshire Coast resort of Filey. Located on a quiet side street of the town centre it's an excellent base to enjoy Filey's shops, restaurant, pubs and beautiful beach. 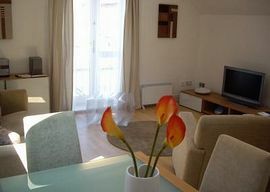 The modern luxurious accommodation is available for 3, 4 and 7 night breaks throughout the year. theloft has a strict no smoking and no pet policy. 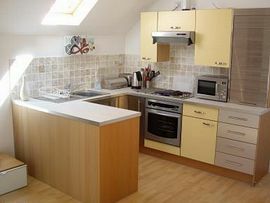 Accommodation comprises of a great open plan lounge/kitchen/dining space, ideal for families. The kitchen is complete with integrated appliances, perfect for creating an evening meal or breakfast. Broadband Wi-Fi, 32" LCD TV with Freeview, Micro Hi-Fi and DVD player. There is a selection of DVD's & games for your entertainment. There is one en-suite twin and one master king bedroom, each containing bedside tables, drawers, lots of hanging space, LCD TVs with Freeview and Micro Hi-Fi. All bed linen, towels and duvets are provided. Outside there's a gated rear yard, ideal for barbecues/sitting out, with parking for 1 car (small/medium sized). 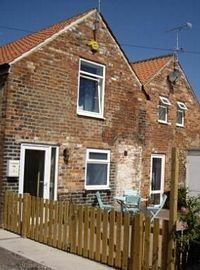 Available for 3, 4 and 7 night breaks throughout the year! theloft has an enclosed rear yard with parking for 1 car (small/medium sized). There is a BBQ, outside furniture and relaxing chairs and cycle anchors. Please visit our website to download directions to theloft. 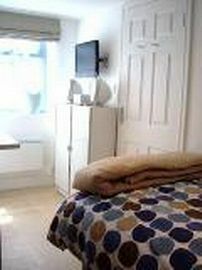 theloft is available for 3, 4 and 7 night breaks throughout the year! Please visit our website, to view our Real Visitors Book reviews and guest comments.